Let's face it, we all want to keep our environments healthy and germ-free, but when somebody has to touch a dirty dispenser to wash their hands, it defeats the purpose. 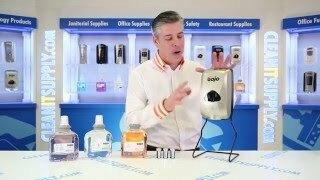 With the Gojo TFX Touch-Free Soap Dispenser, there is nothing to touch. 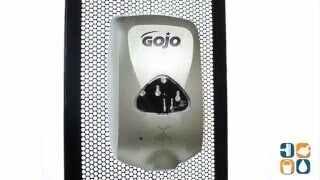 This Gojo automatic soap dispenser offers touch-free, trouble-free performance. Simply place your hands below the unit and a portion controlled amount of soap is directly dispensed in to your hands, preventing cross contamination and germ spread. Each amount of soap is portion controlled to help keep the dispenser as well as the sink area clean. Designed with a high quality metallic paint finish, this unit operates on three C batteries which are not included. This touchless dispenser can be mounted to a wall with either adhesive (included) or screws (not included). Refills snap securely into place with an audible click and are sanitary sealed to lock out germs. The future of hand hygiene is touch free. Get yours today!